Aristotle said that animals are, while humans are always becoming. In other words, people confront mortality, strive for meaning, and investigate the universe, all in the quest for personal growth. Defining the hallmarks of maturity has been a philosophical inquiry for ages. But some personal development goals (https://www.examples.com/business/examples-of-personal-development-goals.html) might be patience, listening to others, and understanding your limitations. Examples of personal growth include going back to school or starting a new career. Just be sure to practice self-care as you’re taking on these and other big-life changes. The term self-care (http://www.thelawofattraction.com/self-care-tips/) is a newish buzzword, but it designates an ancient concept: Being kind to yourself. While this may seem like a kindergarten lesson for adults, the truth is that few adults practice it. Self-care underscores moderation, self-control, and listening to yourself so that you’re in tune with what you want to do. This means letting yourself relax so that you don’t burn out from stress or fatigue. Other advantages of self-care include more self-esteem, improved productivity, a greater resistance to disease, and a larger sense of self-awareness. thinking, and a greater ability to break bad habits. 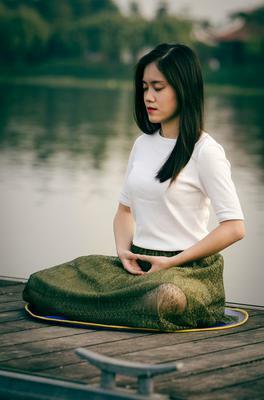 Meditating for 10 minutes (https://www.mindbodygreen.com/0-8171/5-benefits-of-a-10minute-meditation-practice.html) a day has been shown to ease anxiety, insomnia, chronic pain, and cardiovascular disease. People often visualize “happiness” as a golden cloud that will cover them one day if they just wish for it hard enough. However, psychologists have long advised ditching the idea of happiness altogether. Rather, develop lifestyle habits to cultivate mental well-being (https://www.drugrehab.org/making-good-choices-mental-health/). Stay active, manage stress, and sleep seven to nine hours each night. Don’t do drugs or alcohol, and don’t smoke. Maintain a brain-healthy diet, and avoid foods that are bad for you. Sugar, trans fats, fried foods, even refined flour all zap your energy and make you feel sluggish. Get involved with a job, project, or movement that has meaning and purpose greater than yourself. Perhaps the most important habit of all is to prioritize face-to-face interpersonal connections. No matter how digital or tech-savvy we get, humans are social creatures. For almost all people, being estranged from others takes an enormous psychological toll. So limit the time you spend on iPads and social media, or how long you zone out in front of a TV. Instead, call a friend, meet up with your favorite cousin, or try to get to know an acquaintance better. You’ll feel more (naturally) plugged into the world around you, and your mental health will flourish. Big-life changes like switching jobs, starting a family, or taking on a mortgage are daunting. That’s no reason to back down from them. Just care for yourself as you’re preparing for the challenge. At times, it may seem like you’re taking it too slow. But in the long run, you’re staving off the potential for burnout and staking out your quest for personal growth. Join in and write your own page! It's easy to do. How? Simply click here to return to Guest Authors.